Cindy Wrap Top Just $21.99! Down From $40! Shipped! 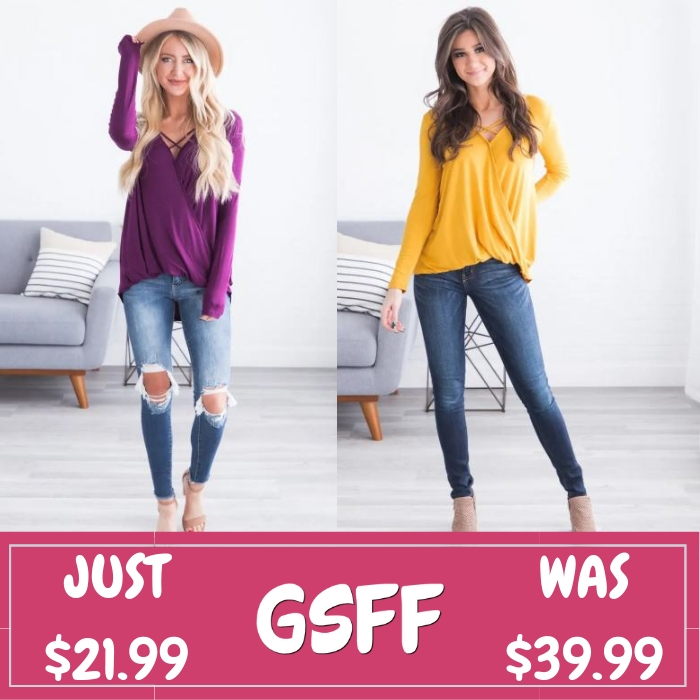 You are here: Home / Great Deals / Cindy Wrap Top Just $21.99! Down From $40! Shipped! This deal expires on February 10! At Jane, you can score this Cindy Wrap Top for just $21.99 down from $39.99 PLUS FREE shipping! We are absolutely in love with this new Cindy Wrap Top! It is unique, yet classy and super comfortable! Featuring a chic wraparound fit, crisscross detail on the bust, a trendy looser fit, and super soft fabric how can you resist? Wear it with your favorite pair of skinnies and booties for a killer night out on the town!